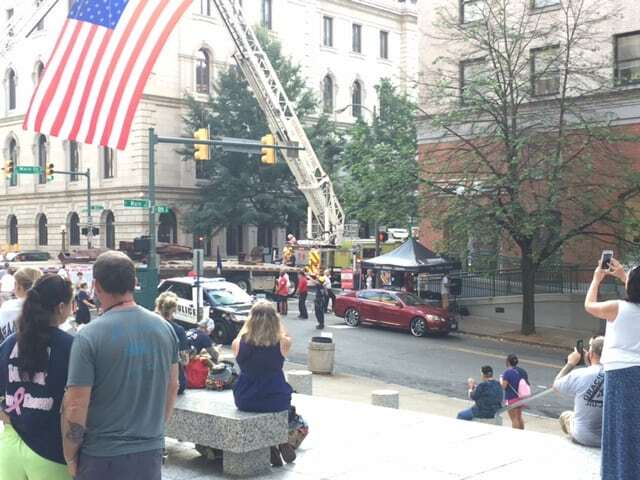 Our Richmond Branch, led by Branch Manager George Scott, participated again this year in the annual 9/11 Stair Climb in Richmond, Virginia on Sunday, September 11. The climb is equivalent to the 110 stories of the World Trade Center that FDNY firefighters, police officers and EMS climbed that day. 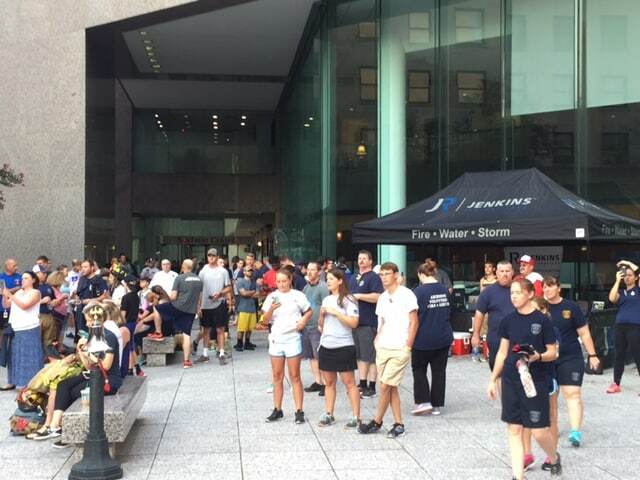 The Stair Climb benefits the FDNY CSU and the programs provided to support the families of our nation’s fallen firefighters. This year, Jenkins Restorations was represented by George Scott and his son, Kevin Mardegian, Peter Street and his son, as well as Tracy Riddle. This 9/11 memorial stair climb is a way for others to honor the many who gave their lives that day in order to save others. 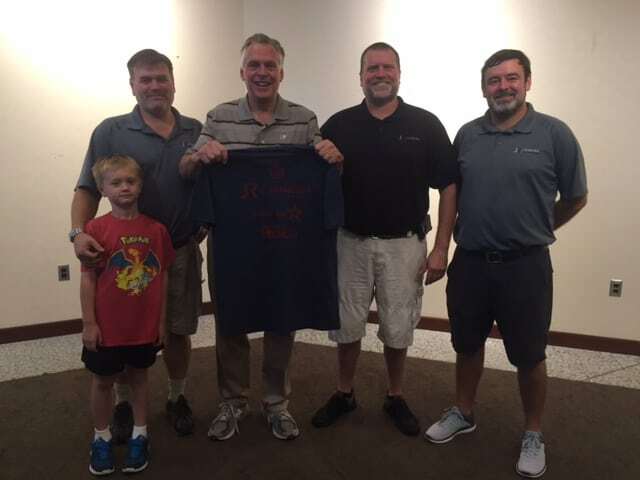 Photo (l-to-r): Peter Street’s son, Peter Street, Governor of Virginia Terry McAuliffe, Richmond Branch Manager George Scott and Tracy Riddle.